Therapeutic interventions to improve the social abilities of Autism Spectrum Disorder (ASD) children require a lot of time, energy and human resources. There is therefore a critical need for tools that reduce the cost and improve the effectiveness of these standard therapies. Thanks to recent advances in technology, robot-assisted therapies (RAT) have now become possible and emerging research shows promising results. Even though current “social” robots used in therapy are simply remote-controlled by the therapists, they have shown promise as potential assessment and therapeutic tools because children with ASD express an interest in interacting socially with such systems. It has for instance been shown that children with autism proactively interact with simple robots, likely because robots are simple and predictable. DREAM is an EC FP7-funded project that will deliver the next generation robot-enhanced therapy (RET). It develops clinically relevant interactive capacities for social robots that can operate autonomously for limited periods under the supervision of a psychotherapist. DREAM will also provide policy guidelines to govern ethically compliant deployment of supervised autonomy RET. The core of the DREAM RET robot is its cognitive model which interprets sensory data (body movement and emotion appearance cues), uses these perceptions to assess the child’s behaviour by learning to map them to therapist-specific behavioural classes, and then learns to map these child behaviours to appropriate robot actions as specified by the therapists. 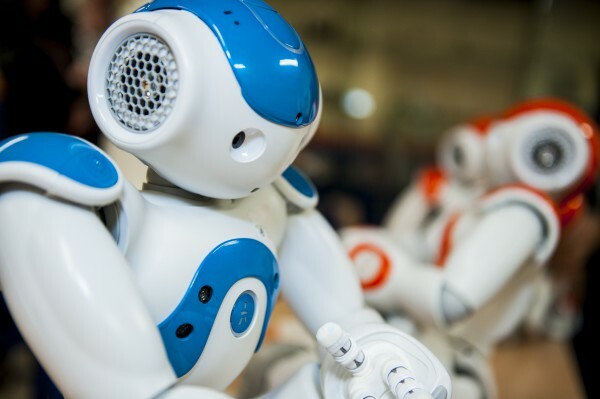 NAO is the most widely used robot in education and research, being the official robot of the RoboCup tournament. It is used in computer and science classes, from primary school through to university, in more than 70 countries. It has also make its impact on the communities of developers, who recognise it as a powerful and expressive medium for creating applications. The ASK NAO (Autism Solution for Kids) initiative is a program created by Aldebaran Robotics to customize NAO to support teachers with in-class tasks and help children with ASD. Probo is an imaginary animal type with an own identity, including a name, a history, and friends and family. 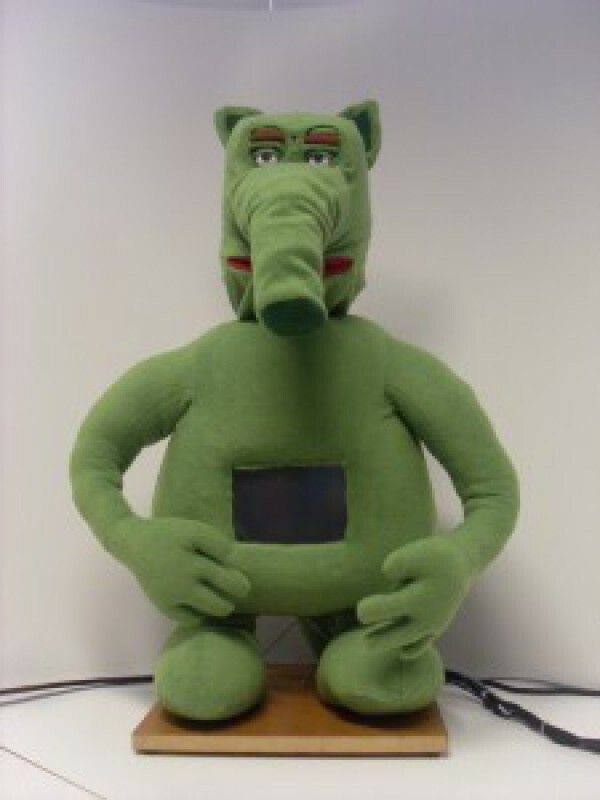 Probo has a very “huggable” appearance, an attractive trunk, animated ears, eyes, eyebrows, eyelids, mouth, neck, and an interactive belly-screen. The internal mechanics of the robot are placed inside a plastic housing and covered with a foam layer and a removable fur-jacket, in such a way that Probo looks and feels like a stuffed animal. The colour of the robot is green, evoking mainly positive emotions such as relaxation and comfort.